Do you have ongoing concerns with service / breakdown costs of your existing Rapid Doors? We have had feedback about competitor Rapid Doors costing approximately $5,000 each time they get hit due to their hard bottom edge that easily / continuously gets damaged. To respond to this concern, the team at Remax engineered the Self-Repair feature which can be found on all Movidor Rapid Doors. What does this mean to you? Less damage to the curtain, less damage to the curtain and door guides and less damage repairs required, downtime as well as reduced call out costs and in turn saving costs down the line for the warehouse manager / owner. The differentiating feature of Remax Movidor high speed rapid doors, in comparison to most conventional high speed doors, is that our rapid doors ‘self-repair’ in the event of an accidental impact to the curtain. More information on Movidor High Speed Doors can be found in our brochure, download the full brochure here. This means less call out costs throughout the life of the door to realign the curtain and to mend the door frame and tracks, and significantly less downtime with doors inactive through being impacted! The Movidor smart curtain relocation system reacts to impact and relocates the curtain back into the guides - automatically without human intervention! Have a look at our videos to see an example of Movidor being impacted by a forklift and the way in which the curtain reacts to the impact. Watch the videos here. Movidor stands up for itself against hasty forklift drivers! Movidor High Speed Doors by Remax set new efficiencies in doorway access and productivity. German quality motor-gearbox with integrated frequency inverter and positioning device. Access to Australia-wide Servicing Team, available when you need support. Crash-out automatic curtain relocation system - standard on all models. 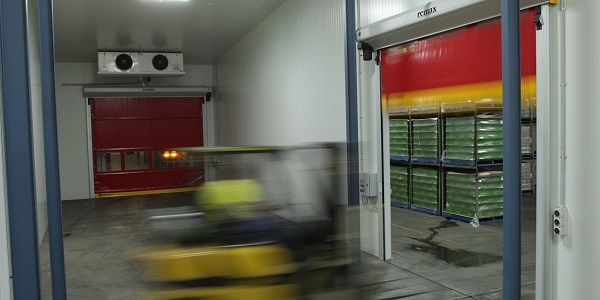 No more call out costs when rapid doors are impacted by hasty forklift or truck drivers. The soft-bottom edge also helps to prevent deformable damage and bodily harm in accidential damage. Don’t forget to fill out the form today! We'd be happy to hear from you.